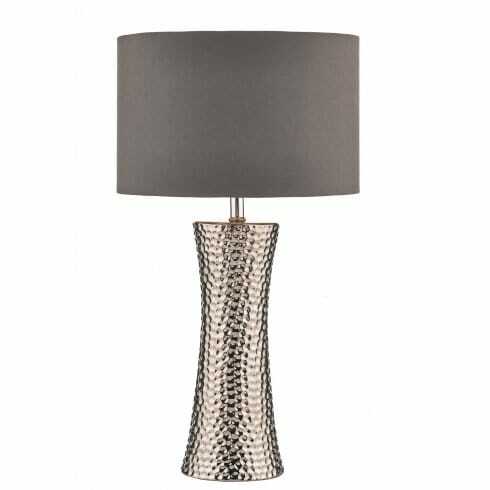 Dar Lighting Bokara single light table lamp features a cylindrical base with an interesting hammered effect that curves outwards from the centre up to where it meets the grey satin shade and down to where it widens for good support. The product code for this Dar table lamp is BOK4232/X. Operated by the rocker switch located on the power cable. This lamp is also available in a bronze colour with a natural cotton shade which can be both viewed and ordered from our website.